LIGHTGRAPHIX have recently upgraded their LED light fittings, with Cree XP-G2 LED lamps now fitted as standard across most of their LED product offering. This upgrade from the XP-G to the XP-G2 forms part of an ongoing research and development programme which gives customers access to the latest lighting technology and designs. 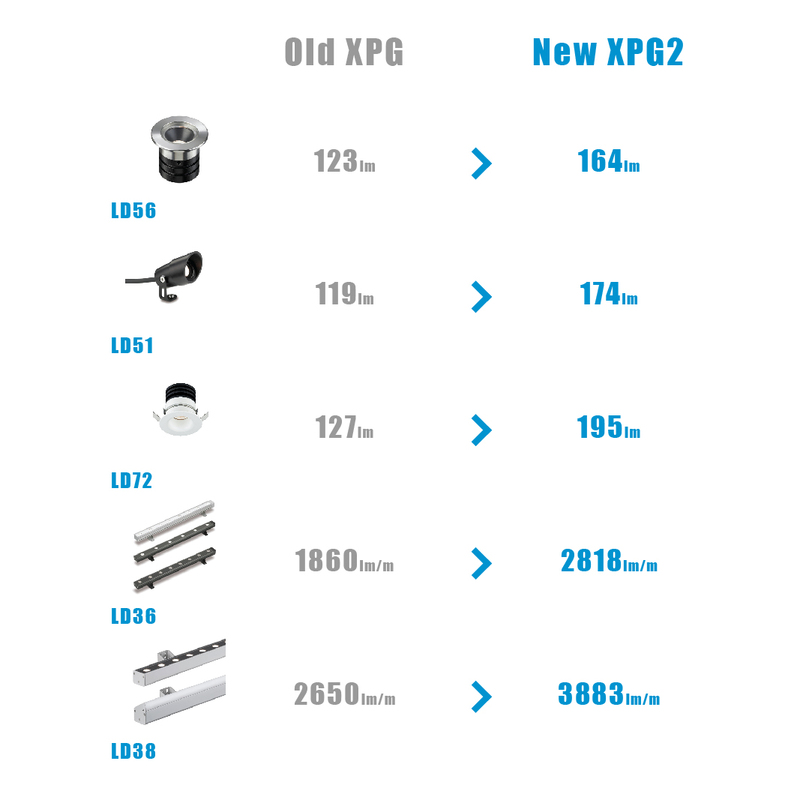 The new XP-G2 lamp offers increased lumen output combined with improved efficiency. The LD72, a fixed low glare downlight, when fitted with the improved LED resulted in an increase in output from 127lm to 195lm, whilst from a downlighter featuring just a 40mm recess and 38mm bezel, almost 200lm can now be achieved. Increased lumen output is also significant across the company's linear ranges with the LD38 now producing 3883lm/m compared to the previous output of 2650lm/m. All data sheets and photometric files have been updated on the website. For further information please call or email us.